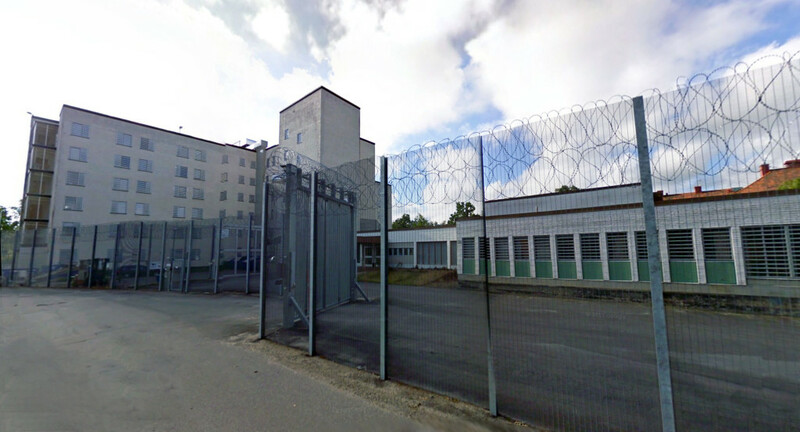 Västervik Norra, a medium-security prison for 255 inmates on the Eastern shore of Sweden, is not a friendly place, rather at odds with its surroundings. The waiting room is half-heartedly decorated with a few plastic toys. I’m one of only three visitors that day. Most inmates here are serving time for violent crimes, kidnappings and the like. The prisoner I’m here to meet is Peter Sunde. His crime? “Assisting in copyright infringement”. He helped build and run The Pirate Bay, which facilitates file sharing. For eleven years, the entertainment industry has tried its hardest to shut down the hugely popular site – unsuccessfully. Their only victories have been symbolic. In some countries, providers have started blocking the website. 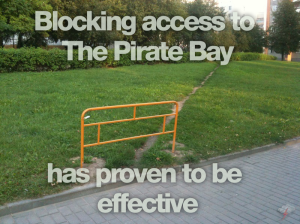 But because such blocks have been easily circumventable from day one, they have done nothing to curb the popularity of the Pirate Bay. I’m about to see another of their symbolic wins first-hand: A young innovator behind bars. The founders of other file sharing platforms such as Napster or Kazaa have been lauded for their ingenuity and are now celebrated entrepreneurs. Peter, on the other hand, had to interrupt his work on successful start-ups such as the micropayment service Flattr and the encrypted messaging system Heml.is to serve time in prison. It wasn’t easy to meet Peter. Initially, his request for the approval of my visit was rejected, as have been requests on behalf of other friends trying to lend him support. It was only when he read up on the regulations and filed a complaint – pointing out my status as an elected representative of the European Parliament – that my visit was approved. If you don’t constantly insist upon your rights, you will be denied themTweet this! When we are finally face-to-face, sipping instant coffee in a tiny room, he tells me that this is par for the course in prison: “If you don’t constantly insist upon your rights, you will be denied them”. He recounts how he had to repeatedly remind the guards that they’re not allowed to open confidential mail he receives from journalists, and how his alleged right to an education or occupation during his jail time in practice amounted to being given a beginners’ Spanish book. I knew the system was broken before, but now I know to what extent. The two-hour visit is the first time I get to meet Peter away from keyboard. We had been e-mailing quite a lot during the European Parliament election campaign, in which the two of us were representing the Pirate Party in different countries. Our conversations spanned our many common political interests, from copyright reform to animal rights issues and the right to asylum. It was just as I was moving to Brussels to start my mandate in the European Parliament that I learned of Peter’s arrest. “The worst thing is the boredom”, Peter informs me. He takes me through his daily routine: “I have soy yoghurt and muesli for breakfast, which I was recently allowed to buy from my own money, as the prison doesn’t offer any vegan food.” That is followed by one hour of exercise – walking around the yard in circles – and sometimes the chance to play ping-pong or visit the prison library in the afternoon, before Peter is locked in his cell for the night. The only other distraction comes from the dozens of letters Peter receives every day. Not all the books that his friends and supporters send make their way to him – they are screened for “inappropriate content” first. Other items that arrive in the mail, such as vegan candy, won’t be handed out to him until after his release, “but at least the prison has to catalogue every single thing you send me, which pisses them off”, Peter says with a wink. There should be 10,000 Pirate Bays by now! 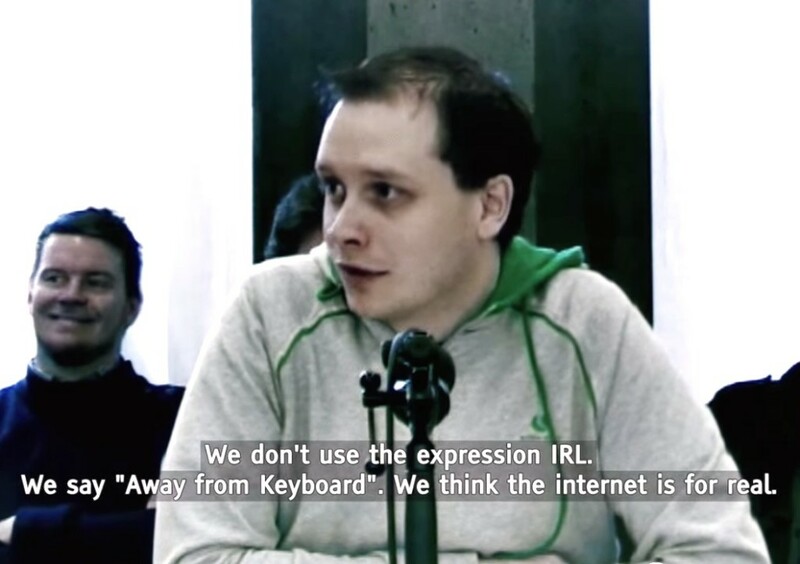 In Peter’s eyes, the Pirate Bay has run its course and turned into a commercial enterprise that has little to do with the values it was founded on. Nowadays, the most important battles for an open Internet take place elsewhere, he says, noting that the trend towards centralisation is not limited to file sharing. Facebook alone has turned into its own little walled-garden version of the Internet that a lot of users would be content using without access to the wider Net. At the same time, services from Google to Wikipedia are working on distribution deals that make their sites available to people without real Internet access. One step to counter this trend towards centralisation could be data portability, the right to take all one’s personal data from a service such as Facebook and bring it along to a competitor. The right to data portability is part of the proposed European data protection regulation that is currently stuck in negotiations amongst the EU member states. “Having data portability would be a great step forward”, Peter says, “but it’s not enough. Portability is meaningless without competition. As activists and entrepreneurs, we need to challenge monopolies. We need to build a Pirate social network that is interoperable with Facebook. Or build competition to small monopolies before they get bought up by the big players in the field. Political activism in parliaments, as the Pirate Party pursues it, is important, but needs to be combined with economic disruptions”. “The Internet won’t change fundamentally in the next two years, but in the long term, the effects of the decisions we take today can be dramatic”, Peter sums up. According to him, establishing net neutrality, especially on mobile networks, will be one of the crucial fights. The Internet may have started out as a non-commercial space, but is entirely ruled by business arguments nowadays, and without net neutrality, large corporations will be able to strengthen their monopolies and stifle innovation. A pushback will be needed from small enterprises as well as civil society – but those groups struggle to be heard in political debates as they often lack the financial resources for large-scale lobbying efforts. Although Peter is visibly affected by his imprisonment and talks about struggling with depression, he has not stopped making plans for the future. “Things will get easier once I get out. I’ve been a fugitive for two years and could hardly go to conferences or would have to show up unannounced.” Once his eight month sentence has come to an end, Peter wants to get back to activism. When I ask about his upcoming projects, he starts grinning and tells me to be patient. “All I can say now is that I’m brimming with ideas and that one of my main goals will be to develop ethical ways of funding activism. You often need money to make change. But most ways of getting it require compromising on your ideals. We can do better than that. Tweet this! The two hours with Peter have run out faster than I expected. Soon enough a guard knocks on the door and – after hurried good-byes – ushers me back to the waiting room, where my phone and my other possessions are returned to me. Peter is now hoping for his prison sentence to eventually be transformed into house arrest, which would allow him to see his critically ill father and spend less time in isolation. Whether that happens will largely depend on whether the Swedish state will continue to view a file-sharing activist as a serious threat to the public. In a society where the majority of young people routinely break copyright law simply by sharing culture, that view seems entirely unsustainable. On the other hand, I hope you will follow the path of Amelia Andersdotter. Best wishes. Can we send him books, notebooks, and pencils? If so, at what address? I want to send this guy cool maths books! He should be able to receive any books you send that the prison doesn’t deem too “subversive”. I am A Indian Fan. 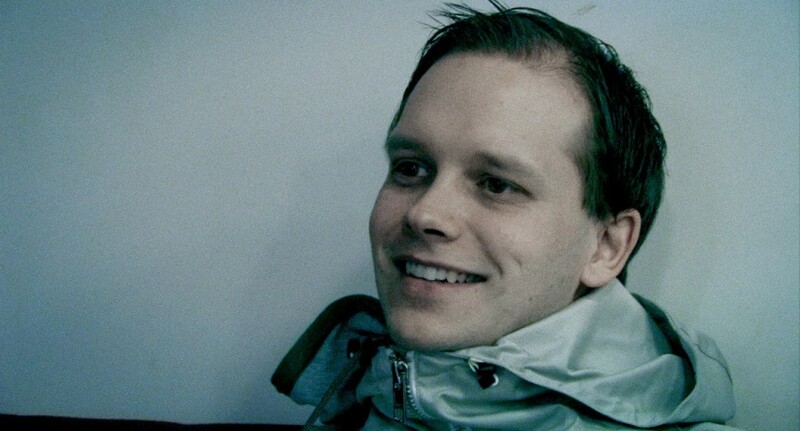 We love you Peter Sunde.. when will he come out ? we need him back. Being able to move your personal data from one company to another would be a step forward, but that is not enough to protect whistleblowers and dissidents. For this, we need to be able to communicate and meet with people without being all of us surveilled. Wise words RMS, also I want to remark on your excellent TEDx talk. Great resource for USEDs. Footnote: We are with you brokep!